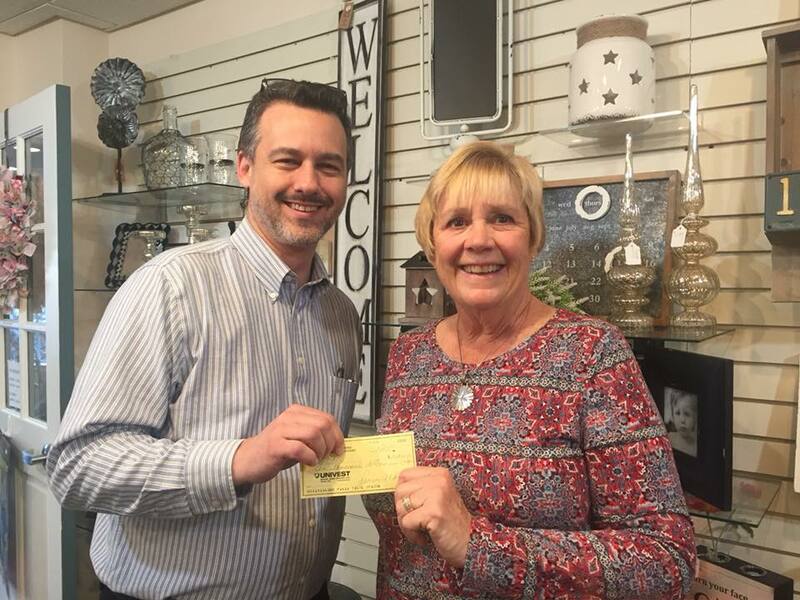 Frederick Living was presented with a $10,000 check by Lori Hartzel, Frederick Living’s Gift Shop Manager for the 17th consecutive year. Lori presented the check to Brian Fallon, Vice President of Finance. Each year the money is donated to the Resident Benevolent Care Fund which assists residents who, through no fault of their own, may run out of the f…inances needed to pay for their care. This fund allows residents to remain part of the Frederick Family. Proceeds from the sales at the Gift Shop make the presentation of this check possible. The Gift Shop is open Monday through Friday 11am to 3pm and Saturday from 1pm to 3pm. We are closed on Sundays and most holidays. The Gift Shop is open to the public and many visitors come in to see what is new and exciting. We carry many unique items like jewelry, purses, wallets, clothing, scarves, home decor including clocks, door mats, garden flags, flameless candles and more. Snacks and drinks, along with seasonal merchandise. Come to the Gift shop for your greeting cards which are always $.99! Be certain to visit the Bargain Corner where everything is 50% off everyday!! Spring has already sprung in the Gift Shop! Going to a Baby Shower, Briday Shower, or Wedding? We have some very unique items to choose from!